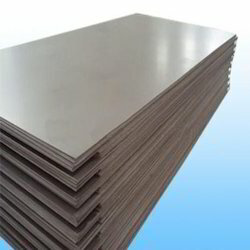 Duplex Steel Sheets & Plates Supplier & Exporter in India. Solitaire Impex is one of the prime supplier, stockist, exporter and trader of Duplex Steel Sheets and Plates in Mumbai, India. 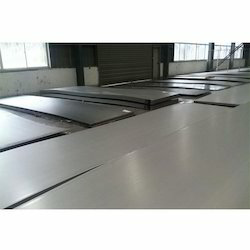 Engaged as a supplier and exporter, we are captivated in providing finest quality of Duplex Steel Sheets, which are being made up by using high-grade of stainless steel. Beside from this, these Duplex Steel Plates can be tailored as per the requirements of our customers for to gain their maximum satisfaction. Meanwhile, these sheets and plates has some of the best features like available in quite reasonable prices, are accurately designed, and has longer service of life. Ensuring to give high quality of materials, these can further be custom-made in terms of sizes, shapes and thicknesses as per the precise needs of our venerated patrons. Hardness :Soft, Hard, Half Hard, Quarter Hard, Spring Hard etc. Form :Coils, Foils, Rolls, Plain Sheet, Shim Sheet, Perforated Sheet, Chequered Plate, Strip, Flats, Blank (Circle), Ring (Flange) etc. • Higher strength which is around twice that of Type 304 austenitic stainless steel. This leads to reduced plate thicknesses being used in fabrications reducing the weight which is of particular significance in items such as pressure vessels, storage tanks, and structural applications such as bridges. It is worth noting that Duplex stainless steels are still being developed and improved by steel makers. Another key feature of Duplex stainless is its enhanced corrosion resistance. There is no single measure of corrosion resistance but the Pitting Resistance Equivalent Number (PREN) is widely used as a means of comparing the relative corrosion resistance of different steel grades. The PREN is obtained by applying a mathematical formula to the chemical composition of a steel so that PREN = %Cr (3.3 x %Mo) (16 x %N). Using this formula 31803 Duplex stainless has a PREN of 35 which when compared with the PREN of Type 304 and Type 316 (18 and 24 respectively) demonstrates its superior corrosion resistance. In short, due to its higher strength, longer component life cycle, and lower alloy composition, Duplex stainless can be a very cost effective solution to an engineering problem. 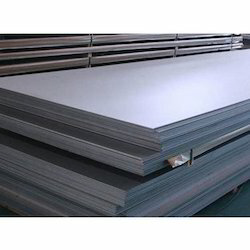 Duplex stainless steel plate in specification S31803 (1.4462) and S32205. 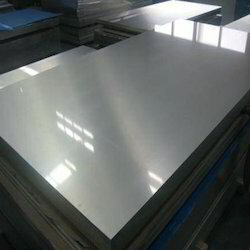 A wide range of large area Duplex Stainless Steel Sheet 31083 which are certified to material grades UNS S31803, UNS S32205, and 1.4462. 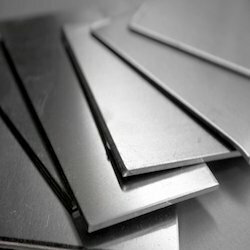 These steels are also compatible with the branded 2205 designation.All material is produced and certified in accordance with NORSOK MDS D45 with plates up to and including 35 mm thick certified to Revision 4. Mill test certificates are produced with third party inspection to EN 10204 3.2. We are one of the renowned names in the industry that offers an unmatched range of Duplex Steel Plate. These are manufactured using premium grades of steel and in varied specifications. We comply with the prevailing industry standards and offer our clients coils that are dimensionally accurate along with high tensile strength. Our range is also made available in customized specifications as per the clients’ requirements. A wide range of large area 1.4462 Duplex Steel Sheet which are certified to material grades UNS S31803, UNS S32205, and 1.4462. These steels are also compatible with the branded 2205 designation.All material is produced and certified in accordance with NORSOK MDS D45 with plates up to and including 35 mm thick certified to Revision 4. Mill test certificates are produced with third party inspection to EN 10204 3.2. 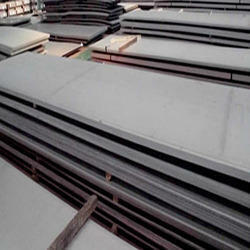 A wide range of large area S32205 Duplex Steel Sheet which are certified to material grades UNS S31803, UNS S32205, and 1.4462. These steels are also compatible with the branded 2205 designation. All material is produced and certified in accordance with NORSOK MDS D45 with plates up to and including 35 mm thick certified to Revision 4. Mill test certificates are produced with third party inspection to EN 10204 3.2. 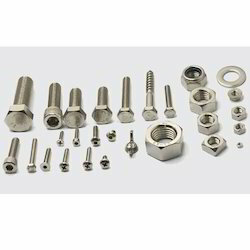 Solitaire Impex import and supply duplex fasteners in all grades of duplex, to customer specification. Duplex grades are a mixed microstructure of Austenite and Ferrite, combining the properties of both (hence the name DUPLEX). Duplex stainless steels have high corrosion resistance as well as a high strength. Mechanical properties are around double that of a typical austenitic grade such as 316. They would also normally offer higher stress cracking resistance in Chloride solutions for example. They are composed typically of 22% Chromium, 5 % nickel. Having worked with duplex since its outset, the duplex bolting continues to account for a core part of our business, along with Super duplex. 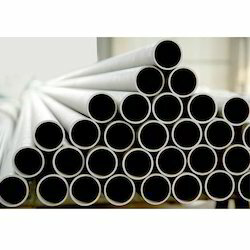 We offer quality range of Duplex Steel Pipe, which are durable , and corrosion free. 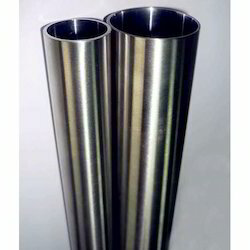 These Duplex steel Pipe are offered in various specifications, shapes and sizes. We meet customized requirements of our clients, Our Duplex Pipe is widely used in a range of applications like structural, mechanical and general engineering purposes. We are one of the renowned names in the industry that offers an unmatched range of Duplex Steel tubes. These are manufactured using premium grades of steel and in varied specifications. We comply with the prevailing industry standards and offer our clients coils that are dimensionally accurate along with high tensile strength. Our range is also made available in customized specifications as per the clients’ requirements. Supplier of Super Duplex Plates 2507 uns s32760 plates, duplex 2205 uns s31803 plates, duplex 2205 uns s32205 plates, super duplex 2507 uns s32750 plates & duplex steel plate. We supply the best quality Duplex Steel Bar. 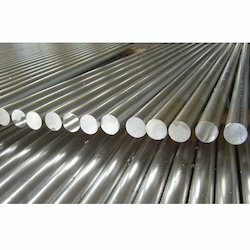 The SS 304 round bars are made out of scientifically proven method and that is why they can be used across many industries. We bring these SS 304 Round Bar in standardized as well as customized shapes.